Handgun shooting every Monday and Wednesday at 7pm. Plus Wednesday afternoon at 1:00pm until end of May. Summer hours are every other Wednesday afternoon. Please note, to become a member of the BPSA Handgun you must complete a safety orientation first. E-mail bpsportsmen@gmail.com for information on when and how to become a member. You can improve your skill to the level of competing or just enjoy this great sport with us. Come out and check the range out anytime. On June 18, Bill C-42, the Common Sense Firearms Licensing Act, received Royal Assent, officially enacting legislation that amends the Firearms Act and the Criminal Code in Canada. · Provide the Governor in Council with the authority to prescribe firearms to be non-restricted or restricted – based on independent expert advice. • Sharing of firearms import information when restricted and prohibited firearms are imported into Canada through business. Our Handgun club is an active club with approx 70 members. The .22 shooting is usually on Mon & Wed evenings, with big bore firearms on Wed afternoon. We trained several range officers to make sure our members shoot and handle firearms safely, and are available when needed. We have a strict set of rules and safety practices. Our members can shoot anytime, providing that a range officer is present. No full metal jacketed ammo allowed for center fire and would prefer wad cutters for big bore. 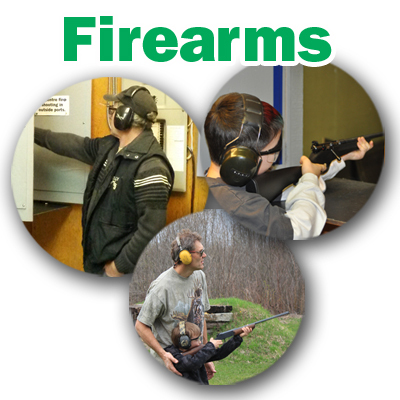 Members can bring guests, but a safety officer must run them through a short course before they can shoot. We welcome everyone as long as the rules are followed.We love to share our sport with all people of all ages and walks of life. We have a competition team that belong to the Western Ont Handgun league and we travel to shoot against other clubs near us. Our competition shooting starts in Oct runs to March. Our shooters have categories of AA,A,B,C,D,E, that they have to qualify for. Improvement sends that shooter to the next highest level for the following year. BPSA has won the league several times over the years. Our members have the training of firearms safety events for Police Foundation students at Georgian College. We taught them safety and handling of firearms, then we let them shoot our firearms in the range. We teach youth the same thing and they shoot .22 rifles. They have a friendly competition at the end of each shoot for top shooters. Mom usually brings the kids to the range, so we put on a women’s shoot for the moms. Come on out and learn the sport in a safe and controlled environment, it is a blast. Anyone interested contact president Al at akh@conestoga.net.